The Hopkins Drama Association just wrapped up another successful production: its spring play, Harvey. The storyline from this comedy production begins with an old-money family giving up hope with neither of the adults working. 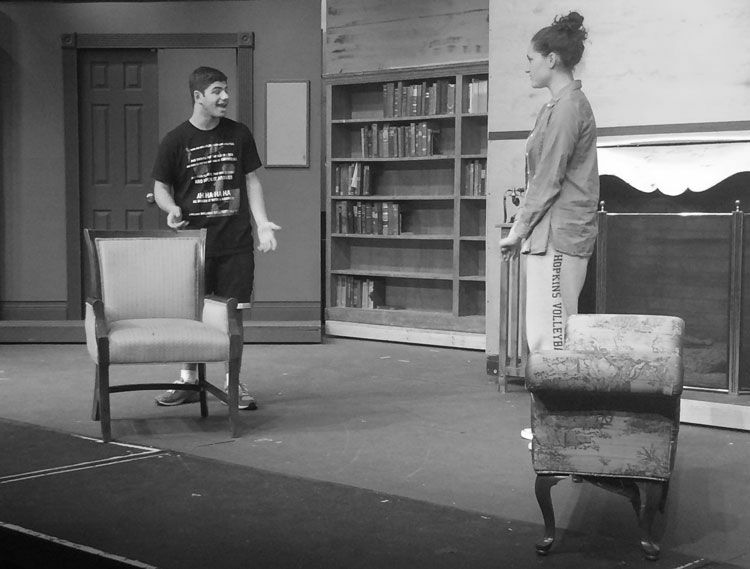 Elwood Dowd (Andrew Marks ’18) and his sister Veta (Phoebe Cardenas ’17) were the two adults in this play. Veta is a widow and has a daughter named Myrtle Mae (Emily Calderone ’18) who is of an age to be married, hopefully to someone rich. However, since Elwood’s “mental capacity seems to breaking down,” Elwood believes that his best friend is a six-foot tall white rabbit named Harvey, played by Mathematics teacher Clay Hall. Elwood and Harvey go everywhere together and Elwood loves to introduce Harvey to every person they encounter, including the society people Veta is trying to warm up to. As a result, Veta decides to put Elwood in a sanitarium so he will not embarrass Veta and Myrtle Mae. While Elwood is admitted, the psychiatrist makes a mistake and admits Veta as the mental patient while Elwood is permitted to roam free. “Comedy ensues as the doctors try to put everything right,” is how Michael Calderone described the rest of the play. Harvey has two primary settings: Veta and Elwood’s family house and the sanitarium. Cardenas explained the benefit of having only two sets. “Since there are only two sets for the entire show, they’re all very detailed and cool.” The whole production takes place in the Midwest during the late 1940’s.